Copywriter and photographer from San Francisco. 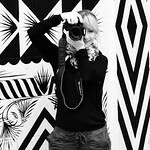 Blogger at www.wallflowerwanderer.com. Sometimes finding yourself is really about losing yourself.